Volume.... Too Much? Not Enough? Where & When? 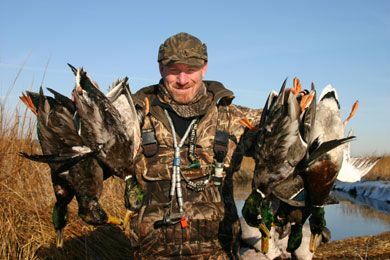 Volume has always been a very important element of calling waterfowl. In its simplest form it can be said, "Too loud and you’ll blow ‘em away...too soft and they can’t hear you." In reality it’s a bit more complex. Over the years it seems instruction on how to operate a duck call has been a monumental task. In its simplest form it can be reduced to the “make ‘er sound like this” approach, and in a more complex form it can be taught as the science it really is. The first approach relies on an abundance of talent while the second puts a premium on intelligence.